Learn Brush Lettering’s mission is to teach the lost art of Brush Lettering and spur on a resurgence of hand-crafted, unique lettering that cannot be replicated by a typeface or font. Carla Hackett and Barbara Enright met back in 2013 and quickly bonded over their left-handedness and shared love of lettering. Carla, having just started her own lettering business, found in Barbara both a friend and inspiring mentor. Their collaboration has spanned commercial projects, group workshops, and has culminated in these online resources for everyone to access. Learn Brush Lettering provides unique training focused on using hair-based lettering brushes. Mastering this type of brush provides more versatility than other lettering tools, allowing you to create a chisel or pointed tip to achieve different lettering styles. 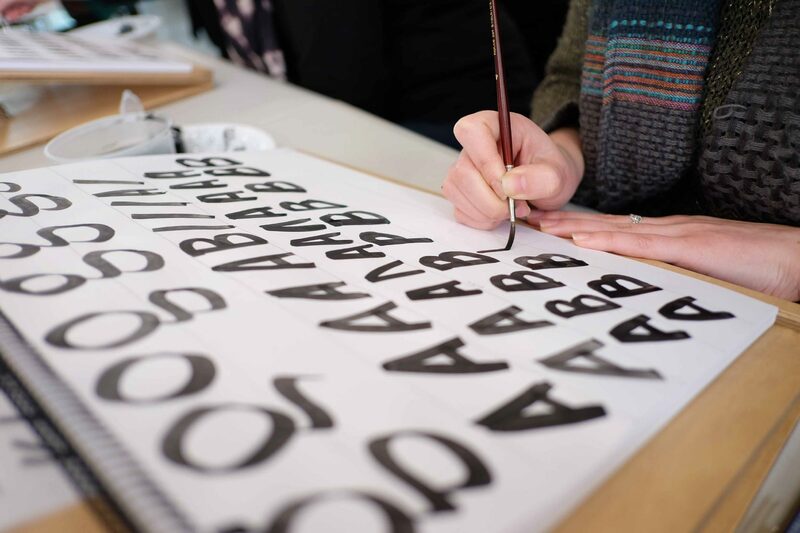 Mastering the brush requires practice and patience, but with Barbara and Carla’s guidance you’ll have the confidence to start on your own lettering journey. Barbara studied Showcard & Ticketwriting as a teenager and went on to work with some of Australia’s earliest large department stores including Curzons, Buckinghams, and Myer. As a left-hander and a woman, Barbara was unique in the all-male visual merchandising departments of the late 60’s. In 1980 she opened Barbara’s Sign Shop where she went on to create lettering for hundreds of businesses and personally train and employ apprentices and experienced ticketwriters. Barbara’s passion for the industry became stronger in the 90’s when computer signage threatened the commercial applications for hand-lettering. She founded The Ticketwriters’ Club in 1994 and became the first female president of the Sign Association of Australia. She has been a teacher and mentor throughout her career, offering guidance to other business owners, and teaching ticketwriting and calligraphy. 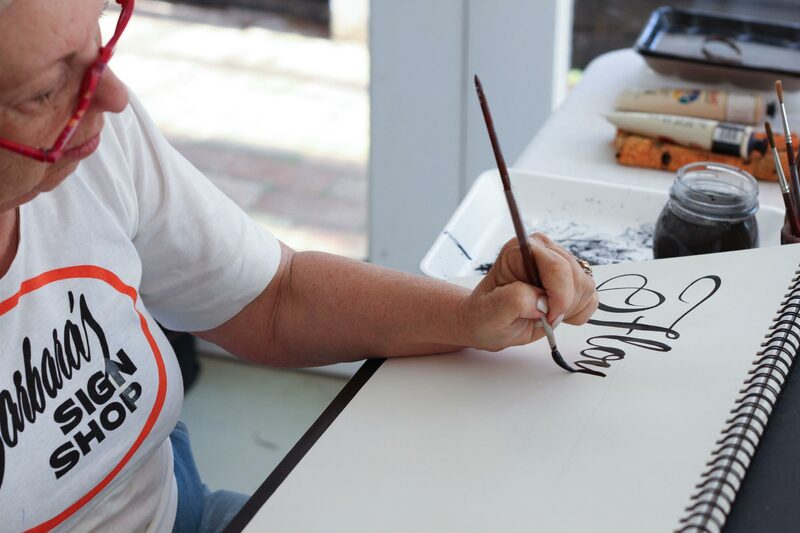 Since meeting Carla, she regularly travels all over Australia delivering brush lettering workshops. 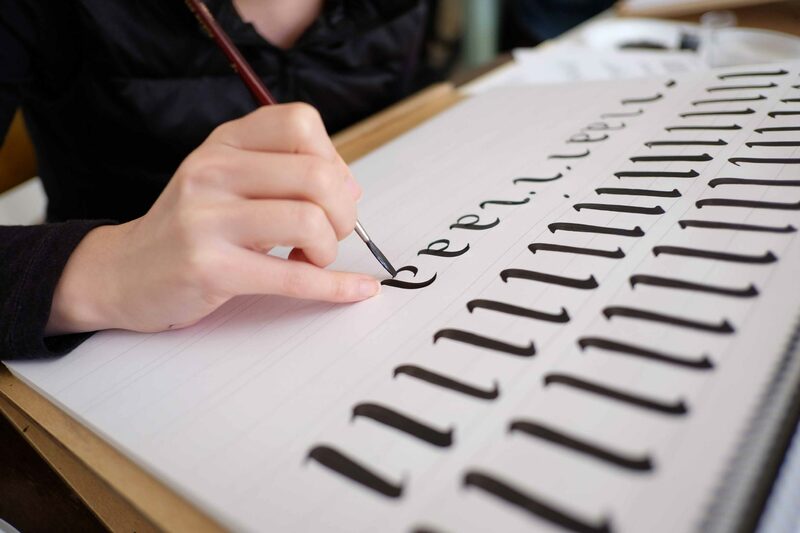 Carla has been running her lettering business for four years from her studio in Melbourne. After a successful career in Graphic Design in Sydney, she decided to move to Berlin to soak up some European inspiration. She was bitten by the lettering bug after completing a workshop (yes, workshops can change lives!) and decided to pursue this new path on returning to Melbourne. 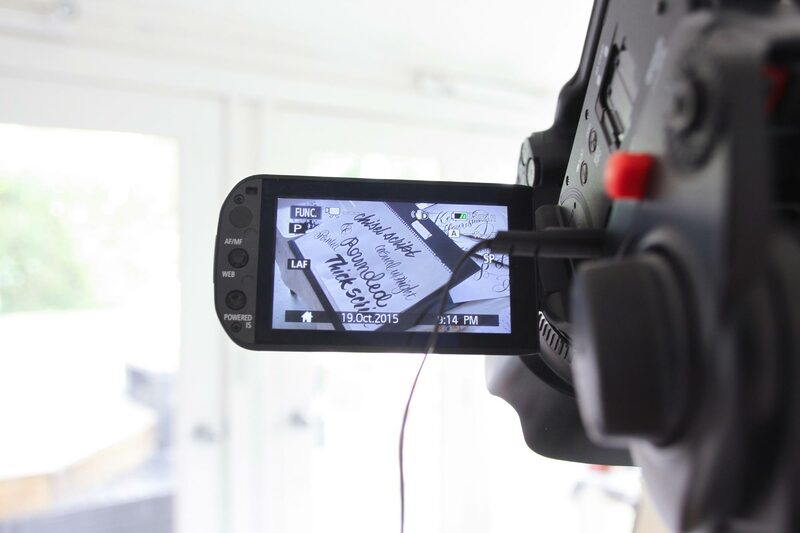 Carla is now using the brush lettering skills that Barbara has taught her for live lettering performances, logos and creative commercial applications. She loves being a part of the lettering community and meeting new friends who are also passionate about lettering. Carla performs with the The Letterettes, a quartet performing live lettering at special events, collaborates with Saint Gertrude Letterpress as Ladies of Letters, and works from her studio in Little Gold Studios. You can find more of Carla’s work on her website and on Instagram. We offer private workshops for workplaces and events. Please email us for more information.